What is the histogram? It is a visual representation of your camera’s dynamic range. On the left, you have your blacks, on the right, your whites. In between all the tonal variations of the image you’re looking at. The histogram is objective. No more guesswork, looking desperately at your LCD display hoping that what you see there, is actually what you are getting. By now, you shouldn’t be surprised if I tell you that the LCD display is nothing more than an approximation of the final image. And if you’re shooting outdoors with your DSLR, you can’t even see it properly. There’s so much ambient or direct light, that you won’t perceive shadow detail at all. You might end up thinking that your image is underexposed or even worse, you might overexpose it. 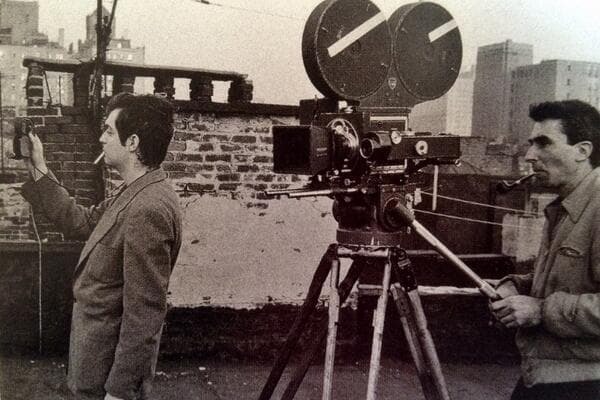 Every cinematographer needs an objective point of reference. Even the keenest eye can be fooled or grows tired. This point of reference used to be a light meter. These day, with the dynamic range of digital cameras increasing all the time, it’s more and more the histogram. IT’S TOO COMPLICATED! HOW DO I INTERPRET THE HISTOGRAM? In practise, there are 4 basic kinds of histograms. The image is so heavily underexposed that unless this is what you want, you won’t be able to bring it back to normal, not without degrading the quality of your footage. Digital cameras are great with preserving detail in the shadows but if you push it too much, there won’t be anything to salvage. The bulk of the histogram is at the bottom quarter or fifth. The histogram of a heavily underexposed image. The image is a bit on the dark side. Depending on your camera (in the case of most current DSLRs) this might be 1 – 1.5 stops of underexposure. Perhaps you wanted a darker image and then all is well. Perhaps you slightly underexposed your image to make sure that your highlights don’t get overexposed. You’re quite safe. The bulk of the histogram comes up about halfway, i.e. up to the medium grey. The histogram of a mildly underexposed image. The image has been exposed perfectly. The dynamic range of the scene that you are recording fits into the dynamic range of your camera, you have captured everything from black to white with a rich tonal scale in between. Images light this give you the greatest flexibility in post! The histogram stretches from one end to the other with no under- or overexposure. The histogram of a well-exposed image. Your shot has been overexposed. This is what you want to avoid at all costs! (Unless, of course, this is what you want for creative reasons.) Overexposure can’t be remedied in post, what’s overexposed is beyond recovery, you’ve lost it. Your highlights are clipped, there’s nothing to be done. The histogram is crushed against the right-hand side and if you enable your highlight alert (or your zebra on certain cameras), the overexposed areas will start blinking. Head the blinking! If you see it, get your images darker. The histogram of an overexposed image. 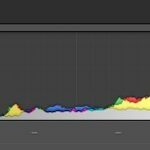 Would you like to see what the images that these histograms belong to look like? Here they are! Can you guess which picture matches which histogram? Every Canon DSLR, as well as most other brands (Panasonic, Sony, etc.) 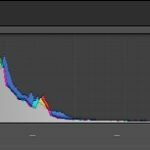 have a feature when you’re shooting video called the live histogram. Surprisingly, entry- and mid-level Nikon DSLRs often do not have this incredibly useful tool! The live histogram allows videographers to set the exposure incredibly fast. 2. Set your shutter speed – if you’re shooting PAL it will be almost always 1/50th of a second, if NTSC, 1/60th. 3. To find your aperture simply start decreasing the size of your shutter until you’re certain that there’s nothing ‘touching’ the right sight of your histogram. In other words: make sure that you’re not overexposing your footage. If this means that your footage will be mildly underexposed, so be it! That is still easier to handle in post, than overexposure! 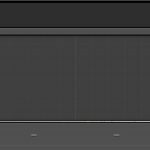 If your camera doesn’t have the live histogram you will need to use the histogram in the playback mode. You need to take a still with the setting you want to use and look at the histogram of that still. This is exactly the same approach, just significantly slower. Instead of seeing the effect of aperture on your exposure immediately, you have to switch back and forth between live view and the playback mode.